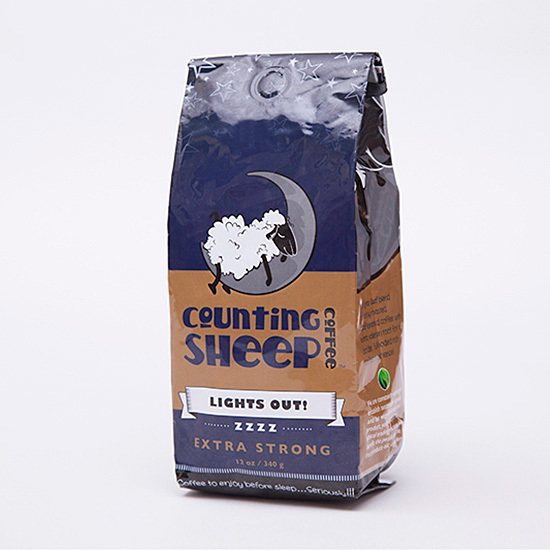 The aptly named Counting Sheep Coffee has created a unique blend of decaffeinated coffee and valerian root, a natural sleep aid that is commonly found as a supplement on pharmacy shelves and has been approved by the Food and Drug Administration as a food ingredient at certain levels. The company has two blends: their original “Bedtime Blend / 40 Winks” and “Lights Out!” with extra valerian. Unlike typical caffeinated coffee, both varieties promise possible relaxing effects, allowing for normal or even better sleep. According to Jessop, the valerian barely impacts the product’s taste at all; he claims that the bitterness of the coffee masks any natural bitterness from the root. Only those with “sensitive palates” pick up on the added sleep aid, and even those people tend to not mind the taste, he says.